I like theremins, I built several with varying degrees of success before eventually buying a "proper" one, I think of it as being the nearest I'm going to get to being an orchestral conductor...I just wave my hands about and music (o.k. sound) happens. SecretSam wrote: All of which makes me realise that if I spent more time practicing and less time shopping, I would sound a lot better and be a lot richer. Shhh! You'll crash the economy! I still remember getting my Prophet 2002. It was in a (quite) local store s/h and would only play voices seemingly at random. After a short while, I worked out that the 'balance' control had been mis-calibrated and so 'centre' was more like 2 o'clock. Once it was in the zone, all voices were perfect. So I re-set it to 12 o'clock and my mate (who had the gift of the gab) convinced the shop assistant that it was duff and we'd be taking a chance buying it to repair it. So I got a still-current 12 bit sampler for 250quid. As we walked out with it, we heard the howl from the one staff member who had twigged what was wrong (presumably he was hoping to pull the same scan for himself) as he came tearing through the shop to try and stop us. Too late sucker! Or possibly the Citroën DS 5, with the garlic, Gitanes and accordion patches - 'La soniques'. What is interesting though is the ones posted so far seem dominated by Roland. Out of my current list of 8 polysynths, 5 are Roland (all made between 1975 and about 1989). The only things I've ever re-bought are the Boss CE-3 (and sold quickly again when I realised my error) and BF-2. I've had a few simultaneous duplicates, but tend to sell one on when I've got one good one out of the pair. Except the Digitech RDS-1900 delays units, they're great. Cranky, a bit rubbish, and non-CPU 8-bit delays using logic ICs. Win! Roland are a funny one. I've had my share of their kit over the years, but it does seem that they are very specific as to what they build - they design something to do one thing and hang anything else it seems. So my D70 was a great synth and master keyboard, but the subsequent JD800 - whilst being one of my all time faves - had a midi implementation that meant it was useless at driving anything else unless you wanted simple layering. The A90 was wonderful (as was the A70) but short lived - and, in the case of the A70, rare as the proverbial. Roland do well because they are good at producing affordable synthesisers. They may not have all the features you would want, but what they do have is well implemented and the units on the whole are very reliable. Out of all the Roland synths I have owned only the Jupiter 6 (one of my all-time favourite synths) and the MC202 (which didn't at the time have any real competition) were bought deliberately. Everything else was an affordable alternative to something more fully-featured that I really wanted. Hi Gax and welcome to the forum! Some lovely kit in there. I’m surprised that you don’t rate Oberheim but each to their own. I see you have a soft spot for the old MKS20 that was a great bit of kit for it’s time but was rapidly superceded and left behind. But it has some sounds work brilliantly in a mix. 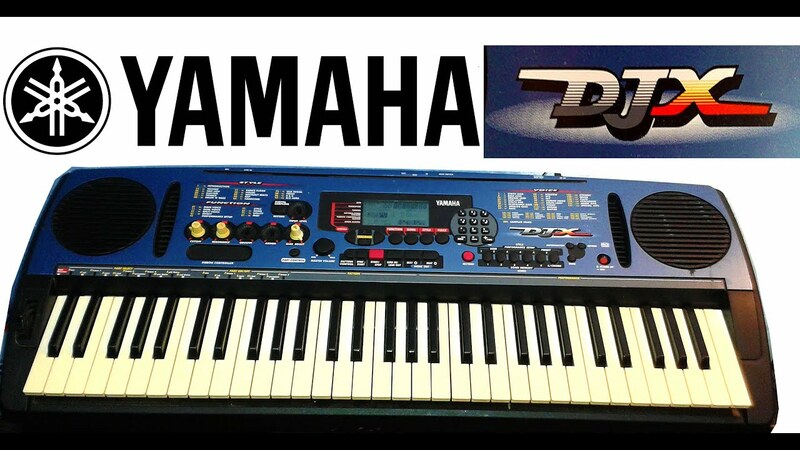 And the RD1000 was the best keyboard I’ve ever played - totally unmatched since! Slotted between the MKS80 and Wavestation I guess I never paid enough attention to the Matrix. Like the Rhodes and bizarrely, the Yamaha PS30, the MKS20 piano seems to pop up regularly in my compositions. I’m also a complete sucker for the vibes. The 6r is a good synth behind a terrible interface. Had one, realised I couldn't be bothered, sold it. This has been the way of many an otherwise decent instrument over the years, so these days I pay close attention to my immediate feel about the interface and what it doesn't obviously do and how it doesn't obviously do it. Luckily we're mostly past the "painting your house through the letterbox" methods . And the Lord said unto Moses: "Thou shalt not diss the DJX". Anyone lucky enough to own both a Yamaha DJX and some John Foxx & Louis Gordon albums, (and that includes moi-même), will quickly realise that the DJX was put to superb use on some of JF &LG's best output. They shamelessly lifted rhythm tracks and synth presets without so much as a "by-your-leave"... I'm so glad they did. FrankF wrote: And the Lord said unto Moses: "Thou shalt not diss the DJX". I still have a DJX that's my 'under the arm' keyboard for mucking around. It really is one of those' why haven't I heard of this? keyboards - and goes for rock bottom prices. Are we talking about one of these?